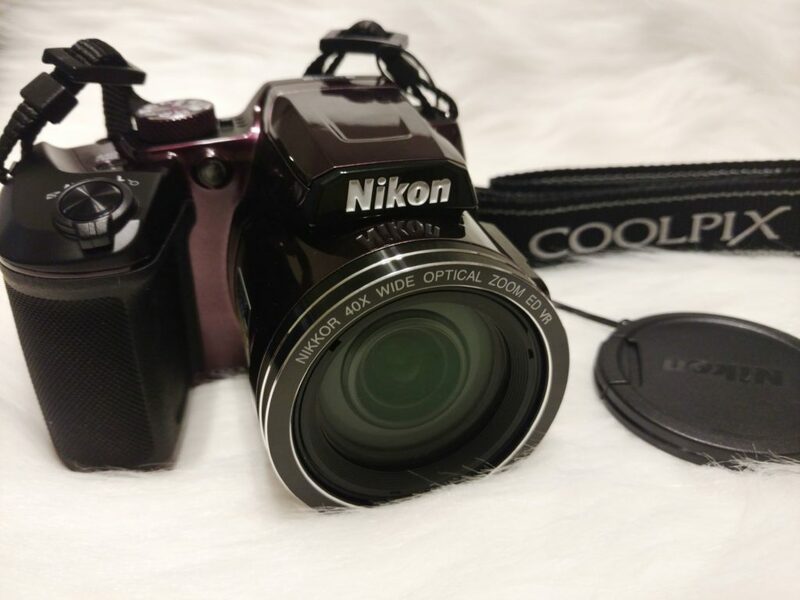 I recently made the decision to invest in a Nikon Coolpix B500 Digital Camera. I am very satisfied with my Sony DSLR and Moto X Pure Edition Camera Phone. The majority of all my blog photos and social media posts have been taken using my Moto X Pure Edition 21 Megapixel Camera. I stopped toting around my Sony because it became an additional task when attending events. The camera bag and additional lens made it a heavy load in addition to my purse or anything else I had on hand. My camera phone is great taking pictures that are up close but, when I would zoom in to take a photo at a distance it would become pixelated and lose quality. I started to look at digital cameras that would suit my needs and the Nikon Coolpix B500 was a perfect fit. I also got a 16 GB SanDisk Pixtor High Performance SDHC Memory Card to store my photos and videos. That size was fine with me because I plan to move my photos and videos frequently onto my terabyte Hard Drive. What Caught My Eye: Oh… First and foremost it was available in Plum! You know anything in the purple family is a plus in my book. I love when my tech is stylish and fits into my brand seamlessly. It’s also very lightweight. Secondly it’s Wi-Fi Capable and will connect with your smart device. It will work with Android, iPhone, iPad & iPod devices. It uses Bluetooth low energy technology and has a dedicated app. Snap Bridge is my new BFF! Its user friendly and I mastered it within a few minutes. Snap Bridge was downloaded from the Android App on Google Play. 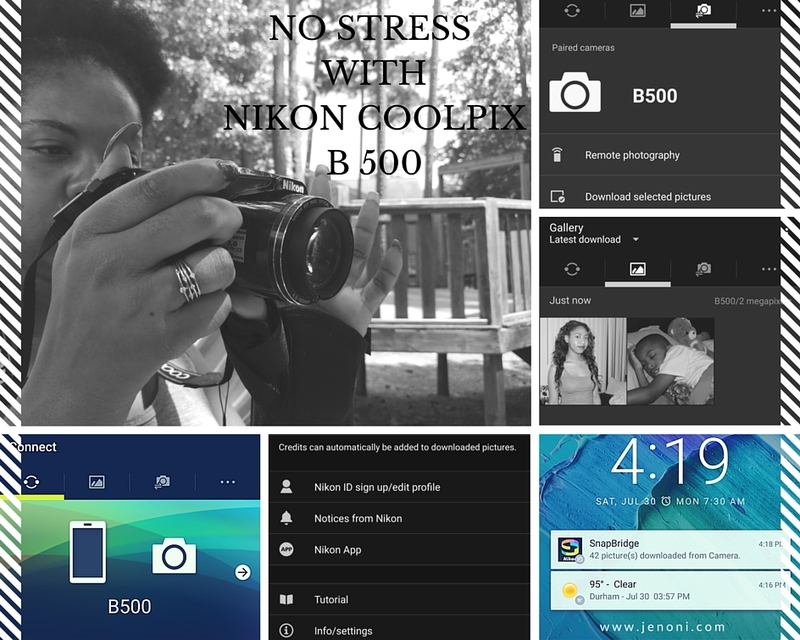 Once it downloaded I immediately paired my Nikon Coolpix B500 with my Moto X Pure Edition. The photos you take will automatically be transferred to your smart device as they are taken. I have it set to only download photos when I am in a Wi-Fi setting. You also have the option of cloud storage services through the app which will invite access across all your devices. This allows you to share whenever and wherever you want to. Blogging is a passion for me and also a business. I just worked on a sponsored campaign and decided to test out my new Nikon Coolpix B500 and the pictures came out AMAZING! It comes with 16 Megapixels, wide 40X Optical Zoom Nikkor, Full HD Movie and a 7.5 cm/ 3-1in. VGA Tilt LCD Screen. The package includes your digital camera, strap, (4) AA alkaline batteries, USB cable, User’s Manual and Warranty. I also purchased it while it was on SALE (-$40.00) at Best Buy so I saved some coins. It retails for $299.99. Overall, I am excited to be able to be out and about and take great photos and have them sync directly to my smart phone allowing me to share directly on Instagram, Facebook or Twitter. I like that I will have the opportunity to zoom in when necessary and still have a great quality photo to share. You get a variety of shooting functions to fit your desired mode and lighting conditions. Snap Bridge also has a remote photography function allowing you to use your phone to release the camera shutter. SCORE! Tip: You can also purchase Memory Cards for your digital camera with Wi-Fi capabilities which will allow you to wirelessly and automatically upload digital photos to your smart devices. I needed to downsize my camera so I decided to get the Nikon Coolpix B500 or that would have been my next option. I don’t even really need my USB cable unless I want to hook up to the laptop or TV via HDMI. My Instagram Feed is about to get an upgrade. 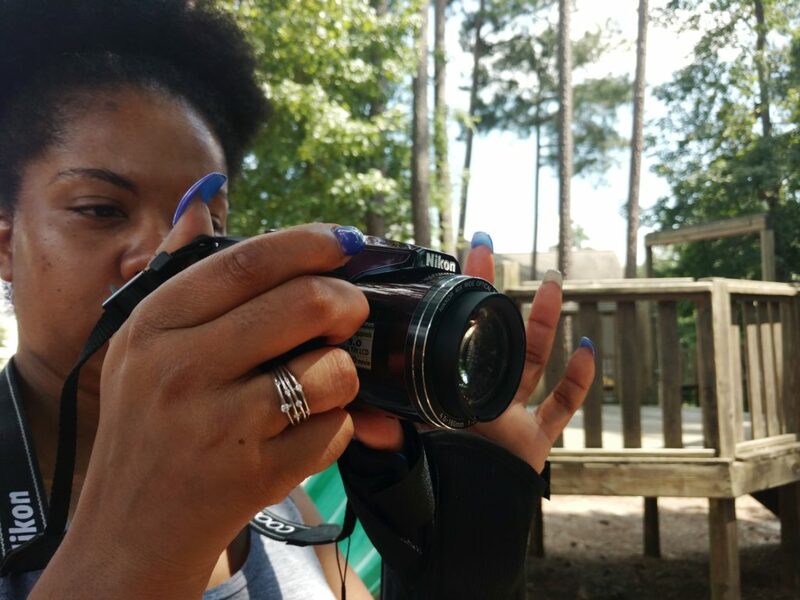 What type of Digital Camera do you have? Does it have Wi-Fi capability? Loved this post. Really been considering getting a camera and you hit all the points I’m looking for! Hi there, I have just bought a b500 however have tried to connect to Bluetooth, unable to do that, also tried to connect it via SnapBridge which it also doesn’t allow me to do, I have tried resetting my phone and the settings on b500 to default but won’t let me connect. Any ideas, any help would be grateful. Jon, What type of phone do you have? I have a Moto X Pure Edition (Android) Mobile Phone. I have it set up via blue tooth and to auto download pictures when connected via Wi-Fi. Also, check your data limits to make sure your’re not exceeding your carrier’s data plan limit. I am unable to connect with my iphone. Another thing I noticed is I have problems focusing when extending the telephoto lens. What do you do regarding focusing?? As a Barber I take a lot of pictures..I needed to upgrade my pictures from a cellphone to a really good camera..I was looking to purchase the canon t6 but when the sales person at Best Buy showed me the Nikon b500 I knew it was the camera to have..The pictures are extremely clear great HD quality, great features. Great investment plus my clients love to see themselves on Instagram and the response from the barbet community.. Game Changer..IG Razor_Redd22 Barberlife..
Great Camera.. Thanks Nikon for the game changer. I also have the Nikon b500 and it is amazing!!! The zoom is by far my favorite. I can take amazing shots of the moon. I bought the B500 and thought the focus was bad also. After some experimenting and playing with it found that just pushing the shutter button down part way and being patient (I am not a patient person) the focus came back perfect and some great distant shots. I have only had my Coolpix B500 for about 9 months. At first the photos it took were wonderful, very sharp. However after a while they got fuzzy and out of focus. Now it is not taking photos immediately – it seems to wait with some of them, so that the event has finished by the time it decides to take the photograph. So yes, this is a wonderful camera when new, but after a few months it behaves like an ancient faulty one. I forgot to mention that the wi-fi connection has never worked, even when the camera was new. Overall this is a very disappointing camera. Hello. Thank you very much for postting this information. I am considering buying this camera and the curious thing about this, it is that I also have a Moto X Pure edition and I also think that the pictures from that phone are really good. I love them. Now my doubt is that if It is worth it to buy the Nikon B500. ¿The pictures of the B5oo are much better than the Moto X pure edition? I just want a camera to get even better pictures than my cellphone. ¿Do you belive I should stay with the camera of my phone instead of buying the Nikon B500? Hi, Can anyone guide me on how to get the camera Wifi connected? I am able to connect to snapbridge via blue tooth. But the camera Wi Fi is not being detected. I’ve read that the camera has an internal Hard Drive, but I cannot find the capacity mentioned anywhere and have yet to call Nikon. Does anyone know?